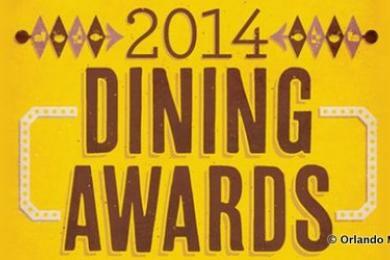 The results are out for Orlando Magazine's 2014 Dining Awards and some of our favorite Disney restaurants put in a strong showing amongst the honored. 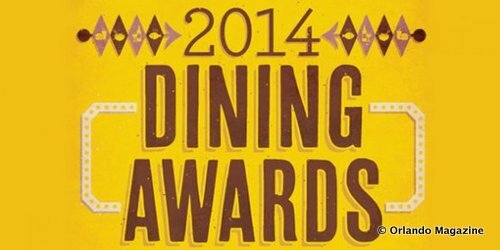 The publications readers were surveyed in 61 different dining categories with the top three in each group being published as winners. It may be no surprise to Disney fans but Downtown Disney's Raglan Road walked away with the top honors and the coveted "Best Restaurant" title. What put it up there? It could be the unique space of authentic Irish Pubs and restaurants built entirely in Ireland, disassembled and shipped "lock, stock, and beer barrel" to Downtown Disney. Perhaps it's the fantastic live music and Irish dancers that entertain the crowds. Maybe it had something to do with charming Chef Kevin Dundon, and his daily influence that brings traditional recipes together with farm-fresh ingredients to make creative and delicious modern Irish Food. I can even believe that it's the spectacular Rollicking Raglan Sunday brunch, the "Host the Roast" feasts or the special event dinners held several times a year by Chef Dundon himself. Regardless of the "why" simple fact is that the readers of Orlando Magazine couldn't agree more, Raglan Road is the 2014 restaurant of the year. Doesn't that brunch look fun! Fact is though, Raglan Road isn't the only Disney dining experience that's holding its own amongst Orlando's culinarians. The following Disney restaurants also earned their spots amongst the honored, and most of the Disney veterans in our member forum would agree because these eateries are included again and again in the lists of fan favorites. Take a look and see if your favorites made the list! Did this article wet your appetite for more information on great Disney Dining? Would you like to a peek inside one of Chef Kevin Dundon's Raglan Road special events? Check out this review of the March 2014 Signature Dinner from our friends over at the Disney Food Blog. Just want to head over for a good time any night of the year? They've got a great review of Raglan Road on any night fare that's just full of pictures as well! How do you think these Disney Dining spots stack up? Leave a comment and share your favorites! I've only heard fantastic things about Raglan Road. It's good to see them get this recognition.